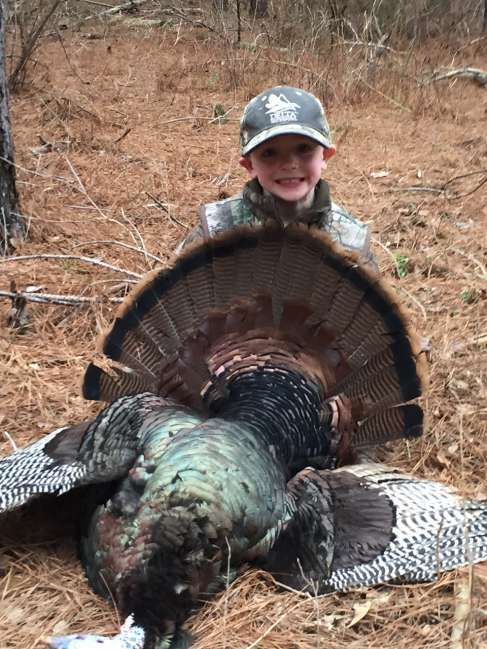 Sam Blanchard, 5 years old of Pontotoc, MS, killed his first turkey on opening day of youth season. Not only was it his first turkey, but it was also his first ever turkey hunt. The turkey was a double bearded with 1.25 inch spurs. It was killed in Pontotoc County while hunting with his father.